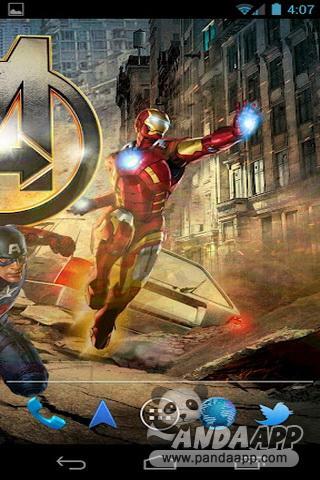 Assemble Earth’s Mightiest Heroes with the official Avengers Live Wallpaper! 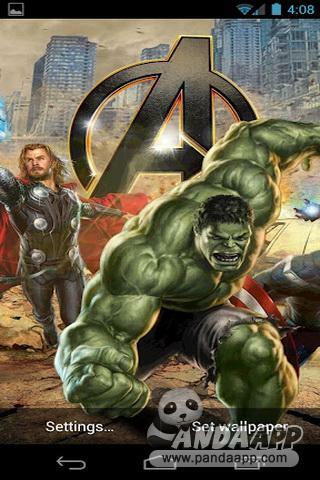 Download the free Avengers Live Wallpaper featuring the superhero team’s logo hovering over a destroyed New York City street with Hulk and Thor in the foreground! Unlock the full Avengers Assemble live wallpaper for just $0.99, including Iron Man, Captain America, Black Widow, and Hawkeye. 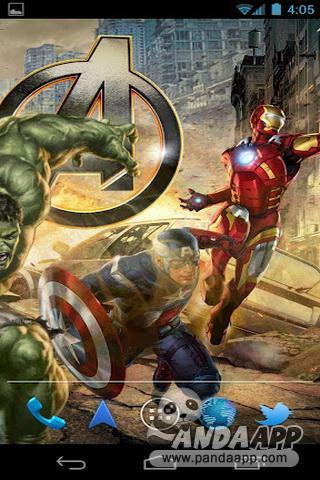 In addition, unlocking the Avengers Assemble live wallpaper now includes a soundboard... Click on each Avenger to hear popular lines directly from the movie! 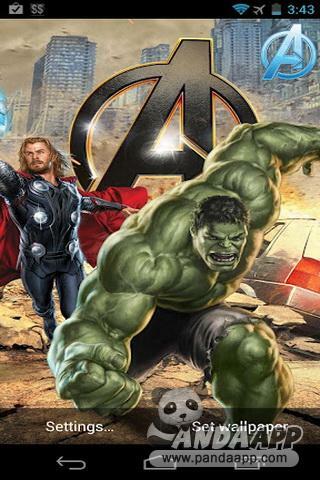 This version also includes an optional downloadable Avengers Assemble ringtone, featuring the cast, which can be purchased as a bundle with the live wallpaper or individually. 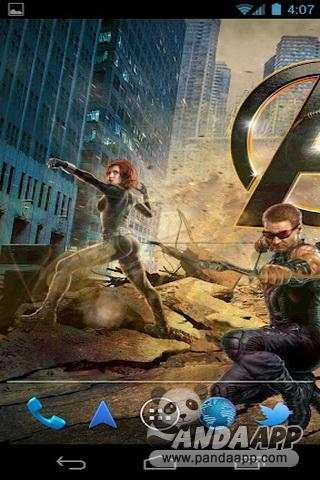 Unlocking the Avengers Assemble live wallpaper now includes a soundboard! This version also includes an optional downloadable Avengers Assemble ringtone, featuring the cast. Can be purchased as a bundle with the live wallpaper or individually. New panning option to resolve handsets with static panel display, (i.e. - Samsung Galaxy Note, HTC Sensation, etc. ).